We value recliners as the ideal pieces of furniture in our homes. They provide us with comfort and relaxation whenever we need it. We thus use them a lot whenever the opportunity arises. It is no wonder, then, that they usually have a buildup of drink and food spills, pet hair, and dirt. The hundreds of hours that you spend lounging in the recliner will leave their marks. These marks are stains and embedded dirt. These blemishes may make the recliner look faded and unsightly. Also, the recliner will emit unpleasant odors. To avoid this problem, you need to clean your recliner. Follow this step by step guide as below. How To Clean A Recliner At Home? 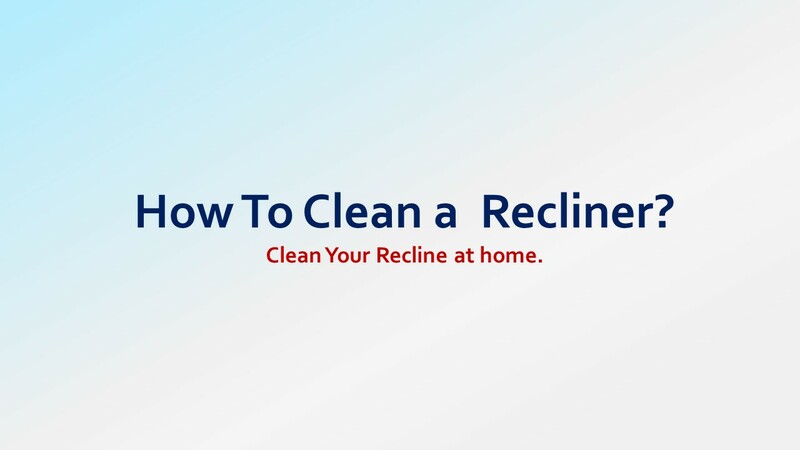 Cleaning the recliner in the right way will leave it smelling good. It also looks great and it will be more durable. It improves the quality of indoor air and your health. The good news is that you do not have to fret about the costs, as cleaning the recliner is low maintenance. Before you embark on the task, it is important you refer to the labels to see its cleaning requirements. 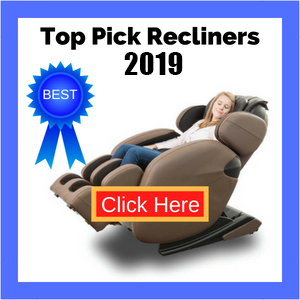 Most recliners are made of cloth, faux leather, and microfibers. It is important that you understand how you should clean each of these materials. 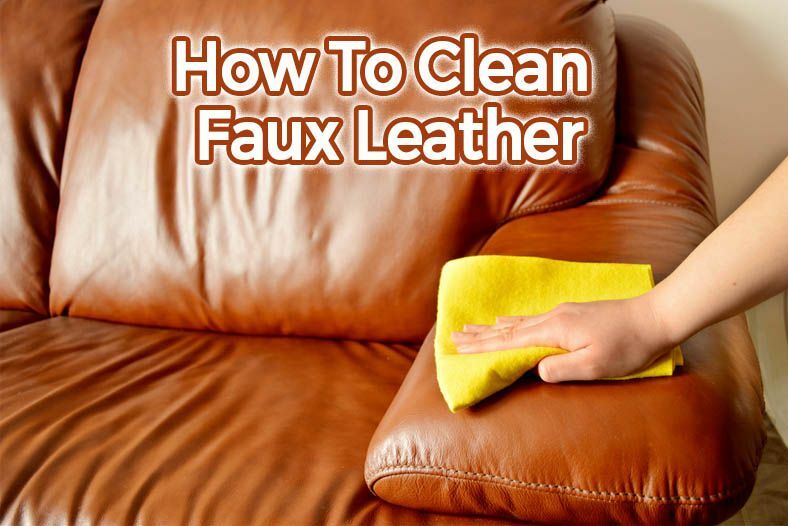 Let us examine a step-by-step guideline on how to clean faux leather and how to clean the upholstery. We will also look into the role of vinegar and steam in cleaning the recliner. Finally, we will examine how to shield the recliner from dirt. A dirt-free recliner remains at its best condition. 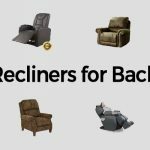 Here is a look at the 7 ways to clean a recliner. 1. How Do You Clean Faux Leather? Blot the spill: Blot the spill on the faux leather as soon as it is contaminated. Ensure that you do not rub the contaminant. Doing so may discolor the material, or ingrain it further into the faux leather. Prepare soapy water: Do not use tough detergents, as they may damage the faux leather. Instead, mix some warm water and mild dish detergent in the container. Once done, you are ready to clean the contaminant. Wipe the stains: Dip the clean rag into the soapy water prepared in step ( ii )above. Squeeze or wring out any excess water before you start wiping the stain. Wipe the stain off gently, taking care not to damage the faux leather. Ensure that you do not get the faux leather too wet, as this will expose it to the risk of damage. Polish the faux leather: This step is optional. Use a clean rag and some polish to wipe the surface that you have cleaned. Ensure that the surface is dry before you apply the polish. 2. How Do You Clean Upholstery? You can clean the upholstery in two different ways. Use a hand vacuum or a soft brush attachment to vacuum the chair. Spray an appropriate upholstery cleaning solvent onto the recliner. Let it sit there for the recommended period (as per the manufacturer’s specifications). 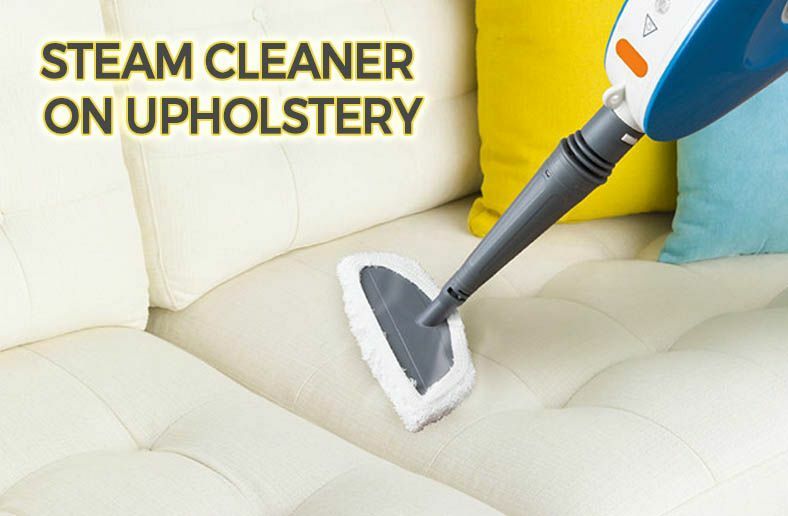 Use a strong brush to scrub the recliner upholstery. Use a damp cloth to clean away any residues of the solvent. Also Use a towel on the upholstery to absorb excess water, if any. Use a hand vacuum or a soft brush attachment to vacuum the recliner. Mix about 1 tablespoons of mild detergent and 1 bucket of warm water. Dip a clean cloth into the water and squeeze the water out. Use the wet cloth to wipe the upholstery. Use a soft brush to scrub off any stubborn stains and spots. Rinse the cloth with clean water. Remove any residue of the detergent on the upholstery by wiping it off with the clean, wet cloth. Use a towel to completely dry off the upholstery. Watch the video on how to clean upholstery. 3. Can You Use A Steam Cleaner on Upholstery? Yes, it is possible to use a steam cleaner on upholstery. If anything, people are increasingly showing a preference for steam cleaners. Other methods of cleaning need many items. Steam cleaning requires the use of only one machine to remove stains and smells. Before you use the steam cleaner on the recliner, conduct a small test on a hidden part of the upholstery. Ensure that it will not react negatively to the steam cleaning. Once you have established that they are compatible, you can begin the cleaning. Start by vacuuming the upholstery to dislodge any embedded dirt. Next, fill the steam cleaner with the right amount of cleaning solution and water. Affix the upholstery attachment of the steam cleaner. Set the cleaner’s strength to the desired setting. Have just the right pressure so that the upholstery is not left too wet. Apply the steamed water to the upholstery in even strokes. Ensure that you clean only one area of the upholstery at a time. If the stains are still there after you are done, repeat the process until the upholstery is clean enough. Wait a while for the upholstery to dry before you use it. You can enhance the drying process by turning up the heat in the house or opening the windows as you steam clean. 4. Can You Use Vinegar To Clean Upholstery? White vinegar is used to clean all sorts of upholstery. It can be used on leather, fabric and even synthetic upholstery. It is a great cleaning agent where the removal of mildew and stubborn odors is concerned. However, you need to take care not to overuse it, as it can ruin the upholstery if you use it in large quantities. Moderation is crucial when it comes to the use of vinegar in cleaning upholstery. To use white vinegar effectively, wet a rag with it before you start the cleaning. Ensure that you wring out the rag completely so that it is not dripping with vinegar. Proceed to gently wipe your upholstery. Reapply if you see it necessary until it removes all the dirt. Even though vinegar has a strong pungent smell, this should not be a problem as it soon evaporates. When you are satisfied that you have removed the dirt, use a dry rag to condition the upholstery. Watch the video on how you can use vinegar to clean upholstery. 5. How Do You Clean A Chair Upholstered In Fabric? If the fabric upholstery of your recliner has been stained, do not panic. In most of the cases, all you need are conventional cleaners and some elbow grease. However, if the stain is a bit stubborn, you can apply the following step-by-step guideline. Remove the cover of the chair and check the instructions on the label. Determine the source of the blemish. This way, you can come up with the most appropriate cleaning procedure. Use a soft brush to remove any dust on the cloth. You need to work on a surface that is free from dust. Apply a bit of the stain remover on an inconspicuous part of the chair to test the stain remover. If it is compatible, you can proceed. Rub on some stain remover on a clean cloth. Use this cloth to remove the stains from the fabric. Avoid applying the stain remover onto the fabric. Once you are done removing the stain, rinse the affected area. Dip a clean cloth in soapy water. Use this cloth to clean the area of the fabric upholstery that is affected. This video will shows that demonstrate how to clean a chair upholstered in fabric. 6. Quick Tricks On How To Spot Clean Upholstery? Imagine that you are hosting a party for your best friends. You are trying to play cool, calm and collected. Suddenly, the unimaginable happens. Somebody inadvertently spills some drink on your favorite chair. Or, worse still, somebody throws up on the upholstery! Your immediate reaction would be to leave the mess until the next day. That would be the wrong move to make. Such a scenario is best handled immediately. Aim to do so within the first 20 minutes of the occurrence. Here are 4 quick tricks that you can use to save the situation. As soon as the spill occurs, blot it with a clean, bright colored piece of cloth, without rubbing it in. Let the cloth absorb as much spill as possible. Use a mild dish detergent and some water to treat the upholstery. Test the cleaner first to ensure that it is compatible with the fabric. Once, the spot is completely dry, brush the upholstery with the appropriate brush. You should do this on a regular basis. This maintains the fabric of your upholstery, even after the stains have all been removed. Doing this once a week is OK.
7. How To Shield Your Recliner? It is not enough for you to just clean stains off your recliner. You need to go further and take steps to ensure that it is protected. Consider investing in a cover to slip over the fabric of the recliner. Some of the protector covers are simple. Others offer more long-lasting protection to your recliner. Frequent cleaning because of spills and dirt often lead to wear and tear. This is where recliner protector come in handy. They are worth investing in as they give your chair a new lease of life. Here is a video to illustrate how to clean and shield your recliner. When you maintain the cleanliness of your upholstery, your furniture looks more appealing. They also last longer! Harmful organisms like bacteria, mold, allergens, mildew, and fleas are kept at bay. The quality of air in your home tremendously improves. This ensures the health of your family. 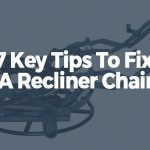 Applying the above 7 best ways to clean a recliner is guaranteed to improve the quality of your life. How Do You Clean Faux Leather? Can You Use A Steam Cleaner on Upholstery? How Do You Clean A Chair Upholstered In Fabric? Quick Tricks On How To Spot Clean Upholstery?